Dr David Scott is a Consultant Child & Adolescent Psychiatrist at Leeds Community Healthcare NHS Trust and an Honorary Senior Lecturer with the University of Leeds. His previous roles include Associate Director for Teaching and Student Support at Leeds Community Healthcare. 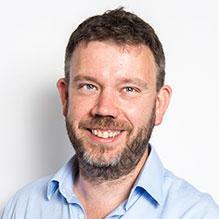 Dr Scott has an MSc in Clinical Psychiatry, a BSc in Public Health and Post Graduate Certificates in Clinical Education and in Healthcare Leadership, as well as NHS Leadership Academy Award (Leading Care 1). Dr Scott is trained in using the ADI-R and ADOS for assessment of autistic spectrum conditions. He is currently training towards accredited therapist status in Family Based Treatment for Eating Disorders. Dr Scott is experienced in the diagnosis and treatment of a wide range of child and adolescent presentations. He is a Consultant in the Leeds Children and Young People's Eating Disorders Service, and a member of the leadership group for this service. Dr Scott also has clinical interests in ADHD, autistic spectrum conditions, depression and anxiety disorders. He has a range of therapeutic modalities, including Cognitive Behavioural Therapy, Motivational Interviewing, systemic practice and family interventions for eating disorders. Dr Scott is a highly skilled, approachable clinician, who we consider to be a great asset to the team. You don't need a GP referral to see Dr Dave Scott. Speak with a member of our friendly staff in complete confidence and arrange a consultation at your earliest convenience.